Starting our return to Canada off right by heading straight to one of our favourite places, Vancouver Island. 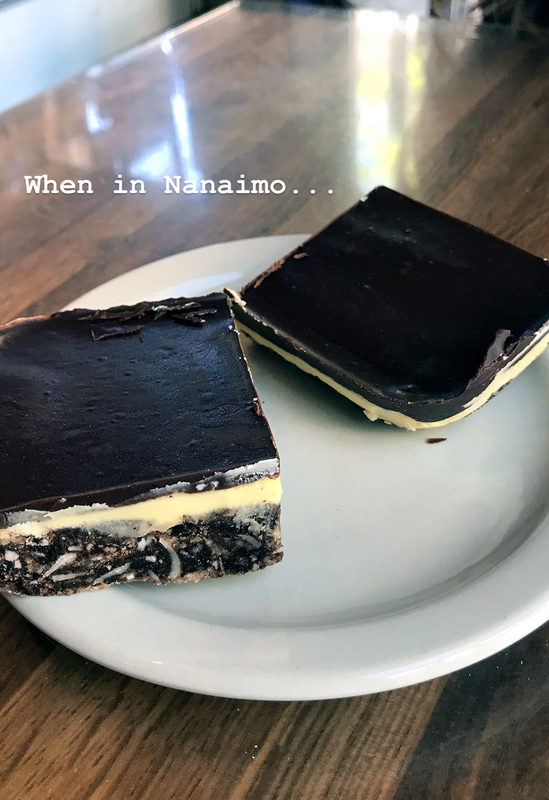 We partied with friends in Victoria before making our way around Jordan River, Cowichan Lake and Nanaimo, British Columbia. Hello Canada! We are back and ready to get all up in your business! Or, just drive across you while visiting friends and family and marvelling in your beauty. 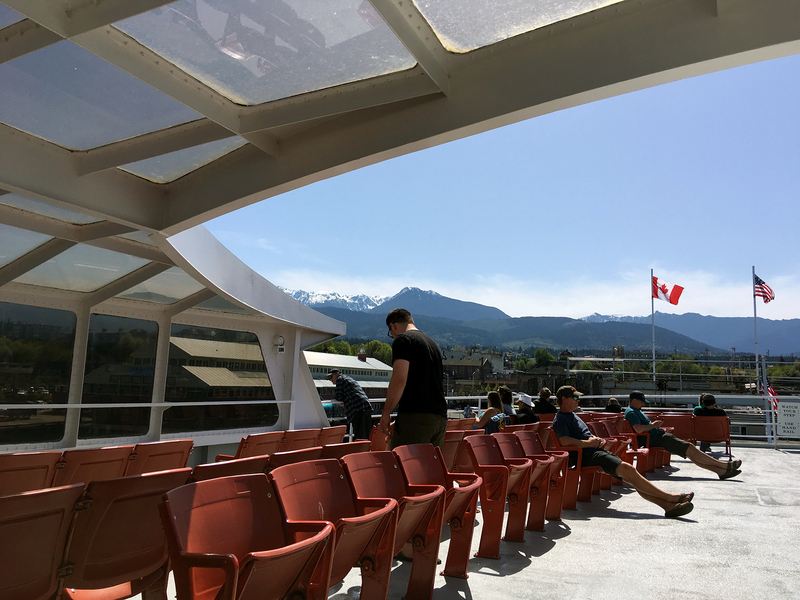 The ferry ride over was an A+ way to cross the border: beautiful scenery, a beer-stocked boat and the smoothest border crossing we’ve ever had. Like most humans, the border always makes me nervous even though we’ve done nothing wrong, but this one was so chill that the lady actually laughed when we bothered to claim some auto parts we were bringing back. Plus, no need to deal with that Peace Arch congestion that can take hours to go through. Also worth noting that Clementine is about 18’ long so we were able to pay standard vehicle price, which ended up being just $80 USD total for us all to cross – MUCH less than we’d pay in gas driving through Seattle to Vancouver and taking the BC Ferry to the Island. Win-win! The great thing about being back in Canada is that we know a bunch of people scattered far and wide so we can cash in on some valuable shower and driveway time. Isn’t that what friends are for after all? We spent a week in Victoria staying with a friend’s awesome parents (shout out to John and Ruth if you’re reading this 😉) and some old friends while catching up on work and enjoying the lack of rain that coastal BC can be known for. 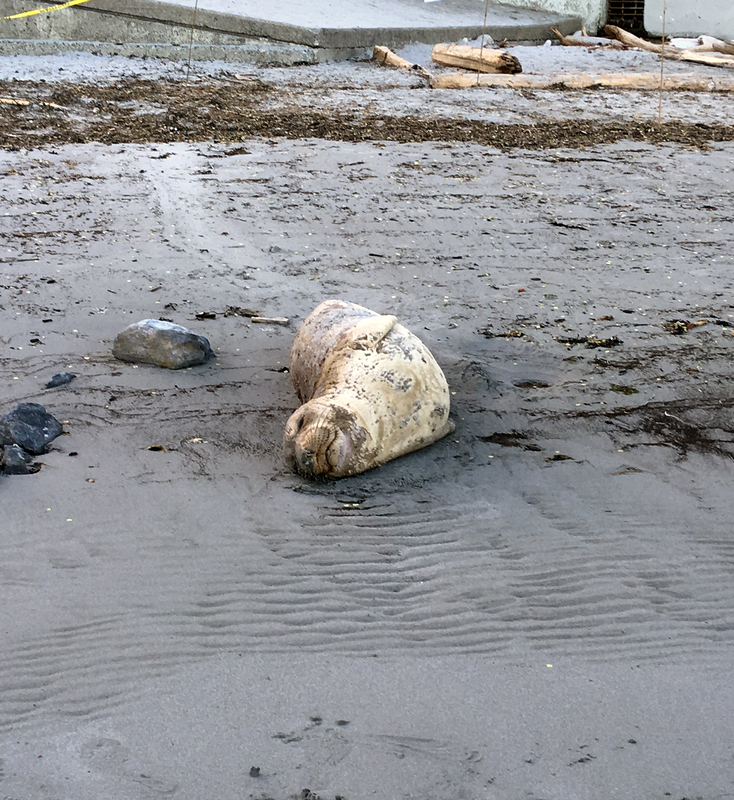 We even managed to get in some beach time at Gonzales Bay, where you can sunbathe and party at the foot of multimillion-dollar homes that you’ll never own. What a life! We also broke all the rules of stealth camping and had a party in the van while parked on a city street but managed to get away with no police visits or tickets and escaped with just a hangover. Success! 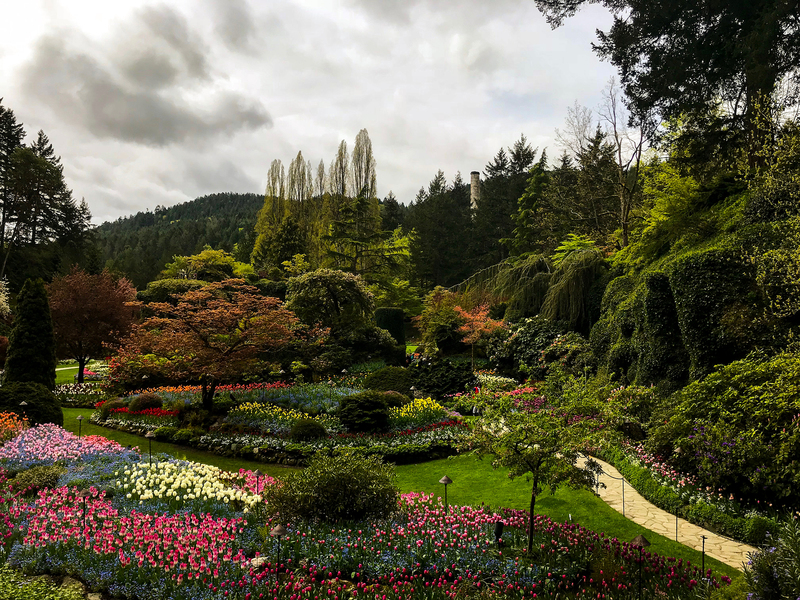 One place we checked out that wasn’t previously on our radar was The Butchart Gardens. Lucky for us, we were given a 2 for 1 admission pass so we took the opportunity to explore all the flowers that you normally just see on postcards. We didn’t think we were all that interested in flowers, until we visited. 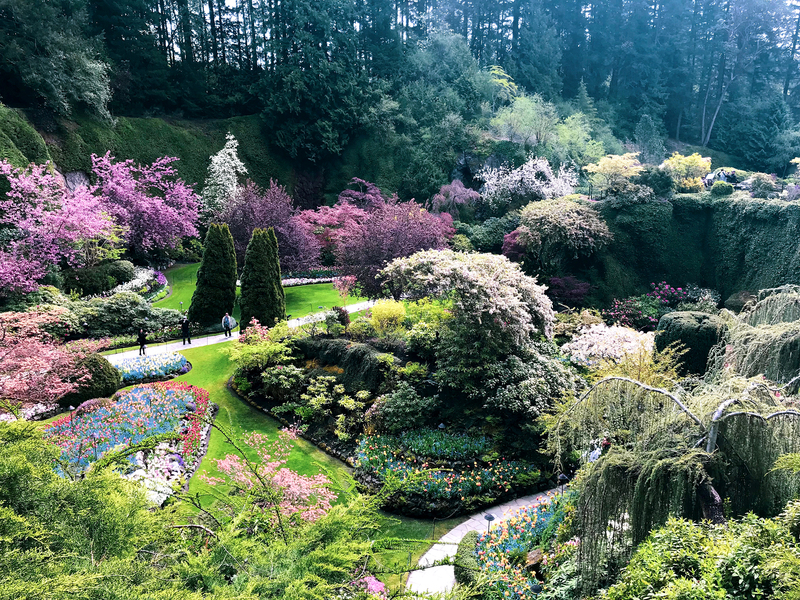 Basically, the area is an old limestone quarry that’s been converted into a dream-like sunken garden, along with Italian and Japanese gardens and a rose garden. Perfectly manicured greenery and flowers of every colour filled every direction, along with the highest concentration of extremely happy old people I’ve ever seen in my life. 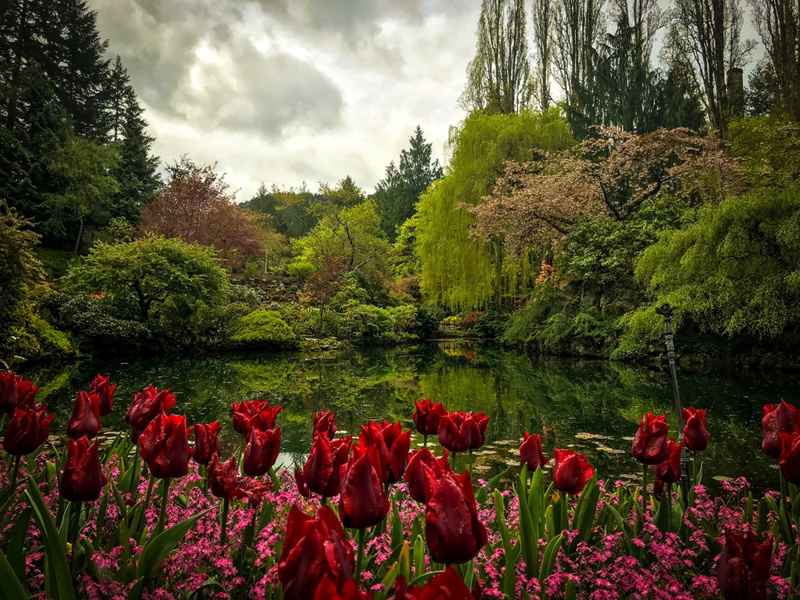 The place was packed – even when it started to rain and everyone huddled under clear bubble umbrellas so as not to miss any of the pretty floral views. They have some odd restrictions about not wearing period dress or cosplay but all in all, it was a pleasant surprise how much we enjoyed it (no, we weren’t planning to dress in cosplay even if it was allowed). I’ve mentioned the difference in gas prices before between the US and Canada but we were ever so fortunate to come back into Canada when Vancouver is experiencing the most expensive gas prices in North America. Currency conversion aside, we’re paying almost as much per LITRE ($1.62) as we were paying per gallon in some states ($1.99)…and there’s 3.78L in a gallon, so you can do the math. Anyway, we couldn’t let that stop us from continuing around the Island and heading to Jordan River. A popular surfing spot for people who actually know what they’re doing, the river meets up with the coast at a rocky beach filled with crabs and other tidal sea life. We camped right along the beach and enjoyed being back out of the city for a few days. Continuing toward Port Renfrew, we stopped at China Beach where we explored the woods and I failed massively at skipping rocks. 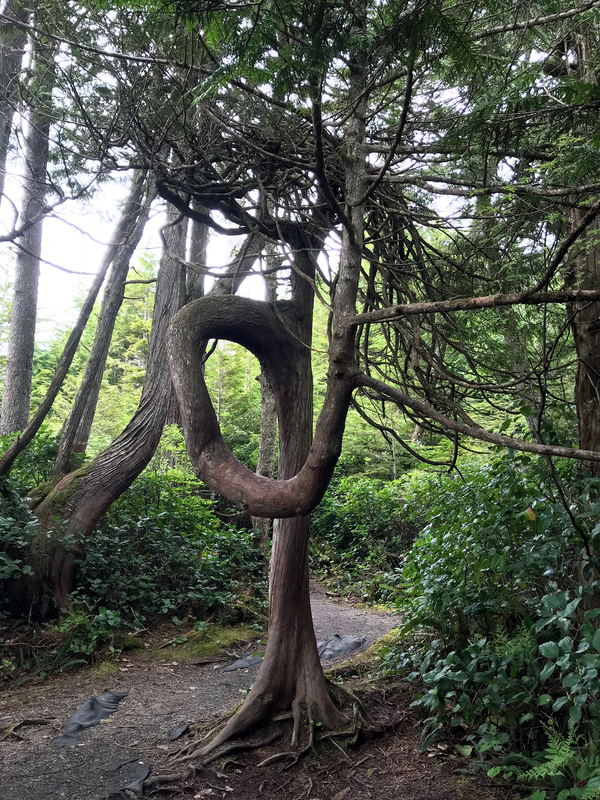 In Juan de Fuca Park, there’s a botanical beach with lots of little sea critters and these crazy bonsai-esque trees that grow in all kinds of warped twisty directions. They almost end up growing into each other and carve interesting paths in the hiking trail, dictating which way you’ll walk around them. Sombrio Beach is another cool spot with the classic west coast rocky beach that the high tide can do such a good job at hiding. You can easily kill a couple hours flipping over a few rocks and seeing all the crabs scurry on to their new homes while playing the tough guy card and pinching their claws at you. 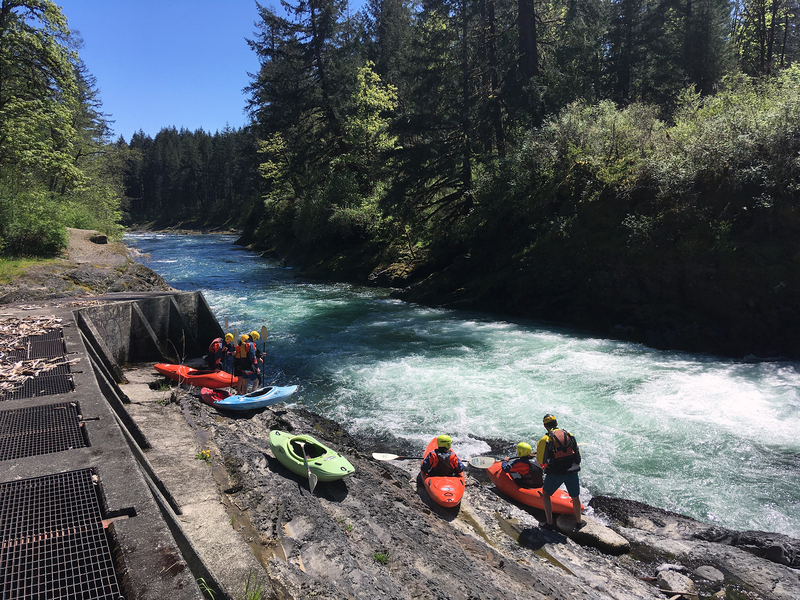 We spent the next day exploring Lake Cowichan and the Cowichan River Park where we hiked around and watched crazy kayakers battle the river. These provincial parks have plenty of no overnight camping signs at trailheads and parking lots so we eventually circled around Cowichan Bay in hopes of finding a spot to camp for the night. Unfortunately, most of the more remote areas around here have become rich peoples’ houses so we went on a little further before stopping in a town called Chemainus. Turns out they’ve got designated RV parking spots around town where you can stay and enjoy a view of the ocean. We spent the evening at a park by the water with a boat ramp and relished in the definite start of summer with the sun not setting until well after 8 PM. Watching people kayak counts as kayaking too, right? One pitfall about Canada is that there are very few Planet Fitness locations where we can grab a shower…and maybe a workout if we’re feeling ambitious. We didn’t have any friends to phone up in Nanaimo so we racked our brains and took a different approach by visiting the pool. I’m normally not a fan of public pools at all but this place was $7 and had a wave pool, waterslides and a huge hot tub! After a long day of working, it was a fun and relaxing way to unwind…until a kid puked in the pool and everyone had to get out. Oh yeah, that’s why I don’t like public pools. Anyhow, we got all shampooed up and headed to a BC Recreation Area about 20 minutes away from Nanaimo and hunkered down for the night. This place meets up with the Trans Canada Trail so there were a few hikers and equestrian folk around since the area has lots of corrals and grassy land for the horsies to roam around. There was even a BBQ in one of the sites that seemed to be open for use. We’re now on our way toward Tofino and stoked to explore everything in between. 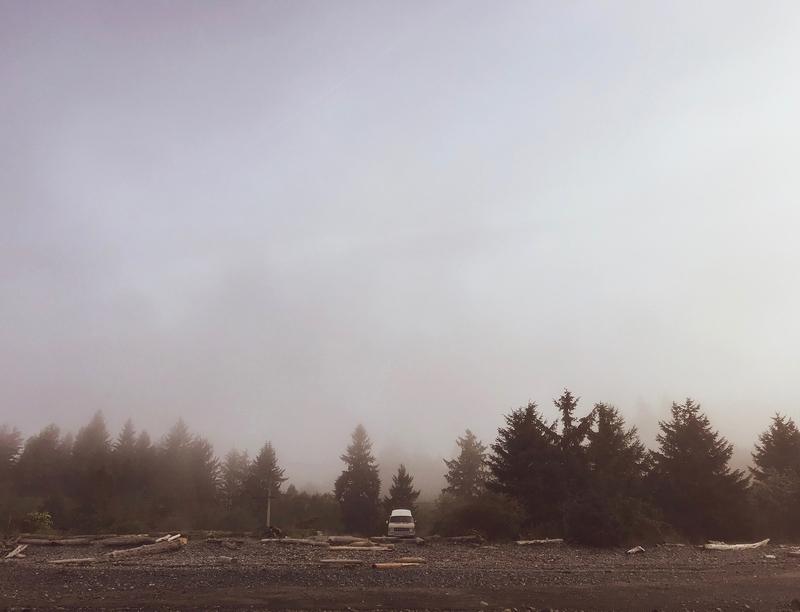 Vancouver Island is a magical place and is FULL of amazing free camping spots that just take a little research to discover. Canada seems to be much less prominent when it comes to finding spots on websites like freecampsites.net (the bible) but by taking some time to dig around BC’s Sites and Trails site and talking to locals, the Island is full of great surprises.